OLD PARKED CARS. 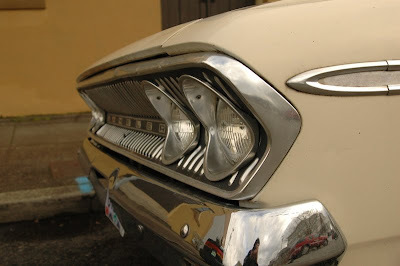 : 1963 AMC Rambler 770 Sedan. 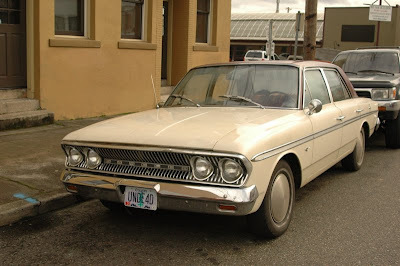 1963 AMC Rambler 770 Sedan. That's right, you better get a closeup of that front end! My eyes bugged out when I saw that this morning. I wonder if anything will top that angle? Also, what do we think of those hubcaps? I feel like they almost need their own tag, but I'm not sure what I'd call em. 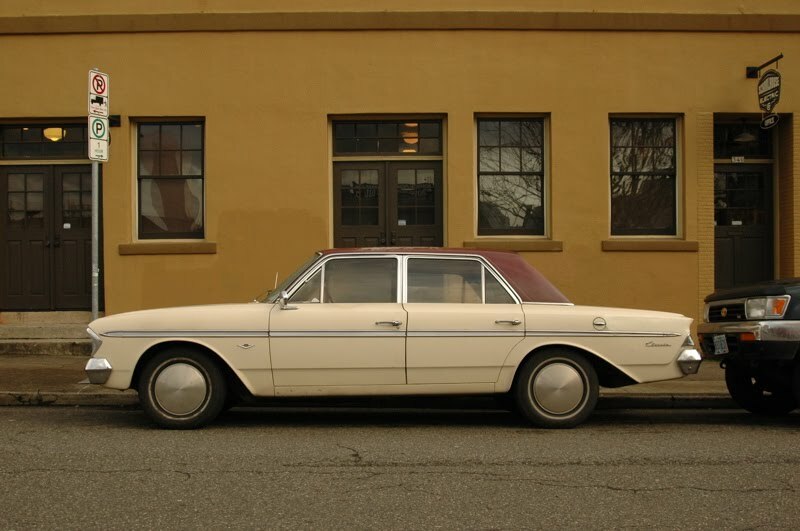 Those hubcaps really set off the strange negative space in those wheel wells. Those headlight bezels make me think, "Mmm, steamed clams". 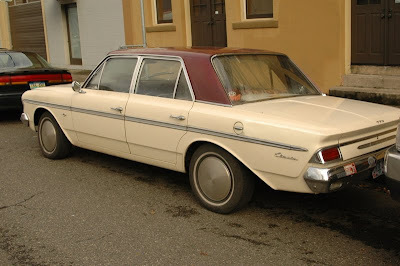 What the heck are those hubcaps? I want to know more than ever with each passing day.